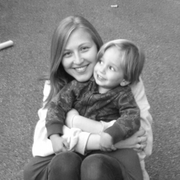 My name is Alexandra (Alex) and have lots of experience working with children of all ages. From the time I was a teenager, I was always babysitting neighbors kids/family friends kids. My Freshman year of College, I was a member of a student organization called "Students For Autism." This group, founded by an F&M Alum allows students to help parents with their children who are diagnosed with autism. Our responsibilities included: babysitting, accompanying the parents and their child/children to events/playdates/school functions. I have worked with children of all ages and thoroughly enjoyed my experience with the "Students For Autism." In addition, I was a camp counselor at Ramapo Country Day Camp for two consecutive summers for first grade girls. Being a counselor was such a memorable experience, and I look forward to returning there in the future. Honestly, from the first time I began working with children, I fell in Read more love with it. My mother always told me that sometimes "children close their ears to advice, but open their eyes to example." I hope to be their example, their confidant, and most importantly their friend.